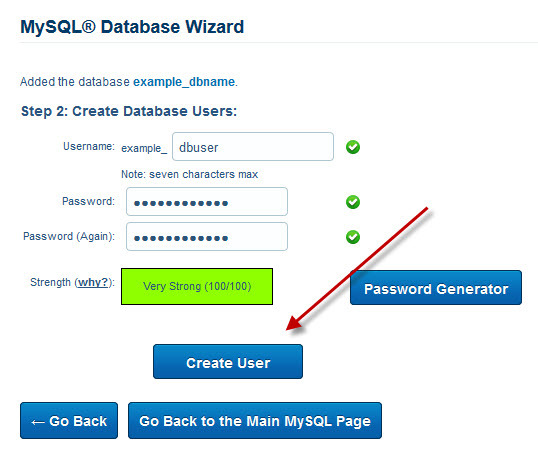 Home » How do I create a MySQL database and user? You can add a mysql database and user really quickly and easily using the MySQL databases wizard in your hosting control panel (cPanel). Let me show you how. 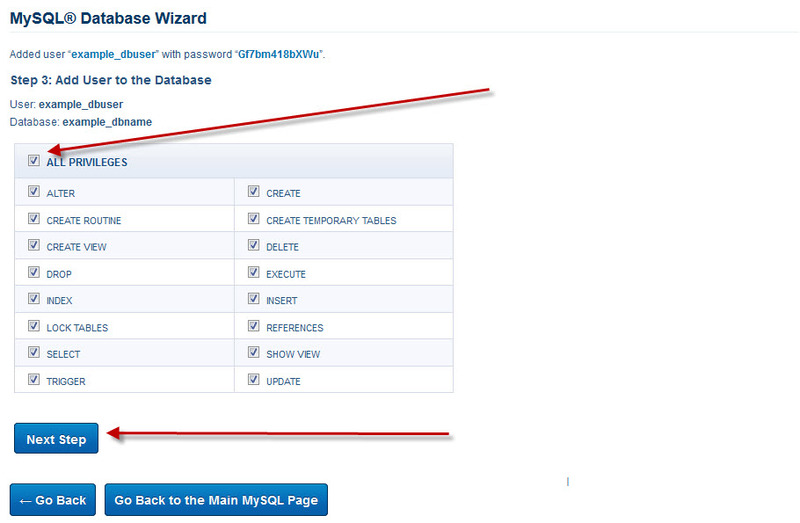 Log into your hosting control panel (cPanel) and click MySQL Database Wizard in the databases section. Put in a database name. This can be anything you want. 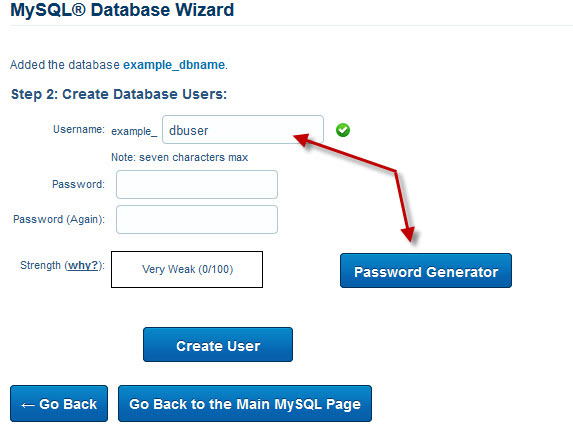 Please note to connect to the database you’ll need to use the username you login to cPanel with _db name. Put in a user name. This can be anything you want. Please note to connect to the database you’ll need to use the username you login to cPanel with _dbUsername. 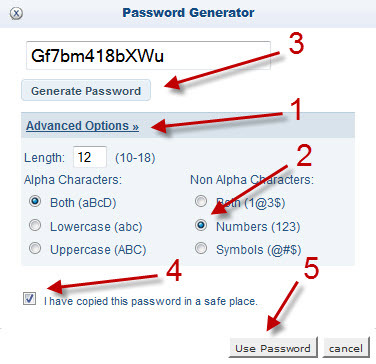 Click generate password. You can click it more than once to get a password you like. Copy the password so you can add it to your script then check the I have copied check box. Make sure you have green checks to the right of the password fields. If not the password is too weak and you’ll need to go back to step 5. If the password is good click create user. In most cases you’ll want all privileges so click that check box and it’ll automatically select everything for you. You should get a confirmation that the database and user were created. If you have questions or problems comment below or contact support.